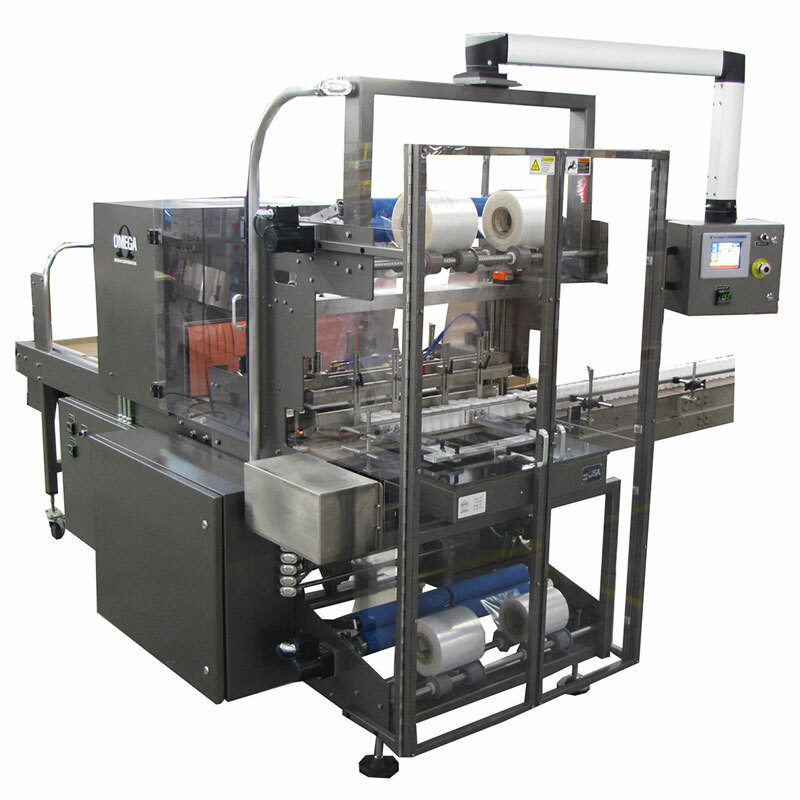 Omega's specializes in manufacturing innovative shrinkbundling and collating systems, which are ideal for pharmaceutical, personal care, food, beverage, and product packaging. Film Widths: 17", 26" or 35"
The Classic Shrinkbundler collates, unitizes, wraps and safeguards a wide array of packaging products. With user friendly design and state-of-the-art electronics, this highly versatile bundling system automatically wraps bottles or cartons in a clear polyethylene film, which protects against product marring and allows for instant product identification. 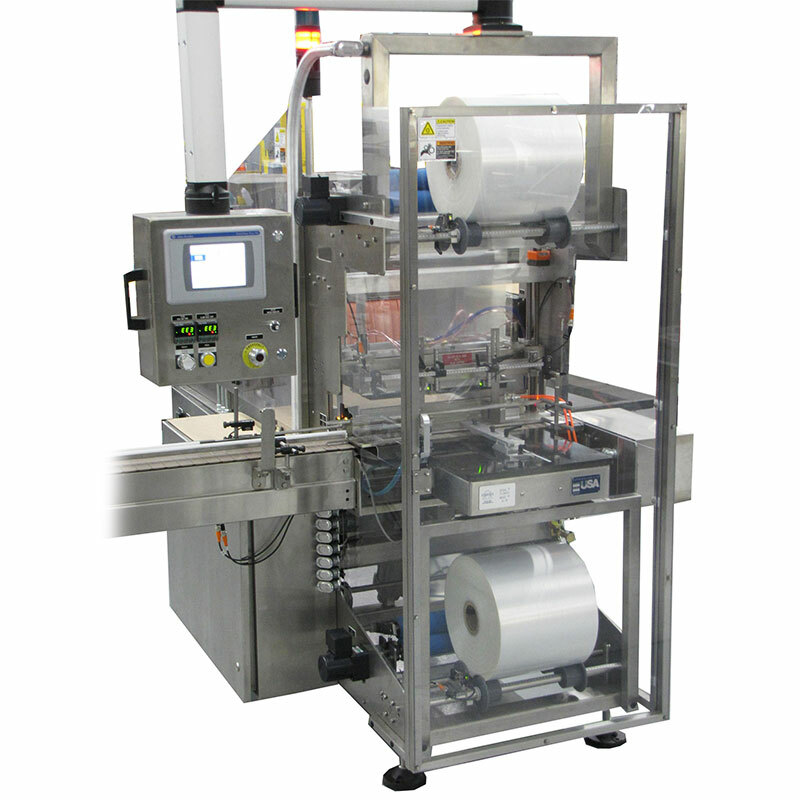 The model MMX premium Shrinkbundler is servo-controlled, unlike the Classic Shrinkbundler which uses pneumatic controls. This means that the MMX will have better component speed control, consume 80% less air, and there will be coordinated motion between the pusher and seal bar resulting in improved overall performance.